One of the first X-Men to appear in Marvel Comics, Cyclops, aka Scott Summers, emits a devastating red beam of energy from his eyes that even he himself cannot control. In order to keep his catastrophic power contained, he wears a special visors and glasses with lenses made of ruby quartz at all times. Taken in by Professor X after being orphaned at a young age, Cyclops goes on to serve as a leader of the X-Men. Appearing in many television series, video games, and X-Men films, including 2016 X-Men Apocalypse, Cyclops is a powerful mutant garnering much popularity throughout his many depictions. For collectibles and apparel featuring this founding member of the X-Men, check out Superheroes Direct. We bring Cyclops fans POP figures and costumes featuring his classic look, as well as t-shirts depicting Cyclops standing with his fellow X-Men. We also offer playing cards, erasers, and more collectibles. Team up with Wolverine, Professor X, Storm, and the rest of the X-Men gang this Halloween when you wear the Adult X-Men Cyclops Costume. 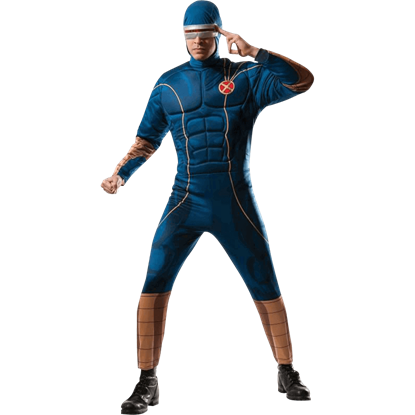 Enjoy the striking appearance of the alter ego of Scott Summers with this fun costume. 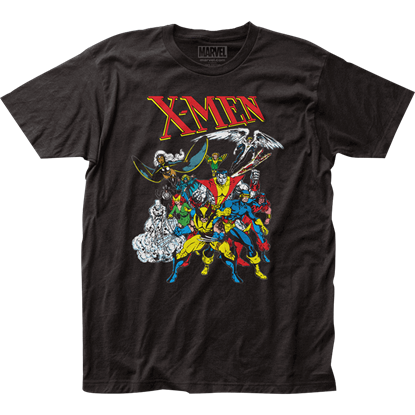 Inspired by the cover artwork for the special issue Giant-Size X-Men #1 published in 1975, the Classic X-Men T-Shirt displays a lively graphic with many classic X-Men, including Cyclops, Storm, Colossus, Wolverine, and Thunderbird. X-Men #1 debuted in 1963. Since then, the X-Men have consistently remained one of the most popular superhero teams of all time. 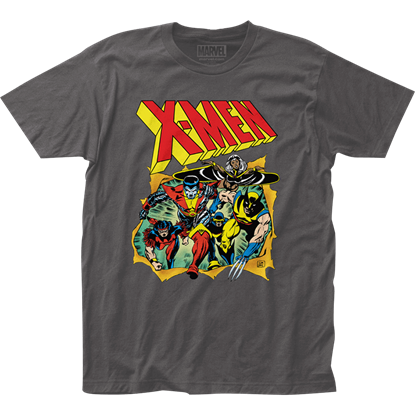 The uncanny team appears on this X-Men Breakthrough T-Shirt, ready for another action-packed adventure. One of the most popular superhero teams of all time, the X-Men have welcomed numerous mutants into their ranks over the years. 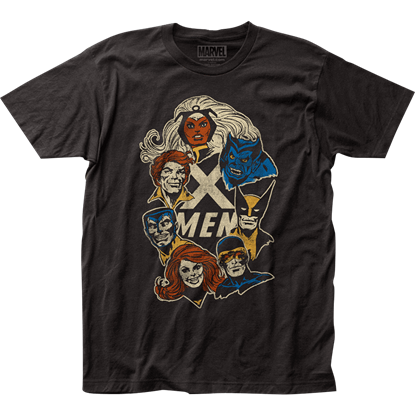 The X-Men Faces T-Shirt displays a graphic featuring the faces of some of the classic comic characters. When they come together as a team, the X-Men are the most capable superhero team of all time. 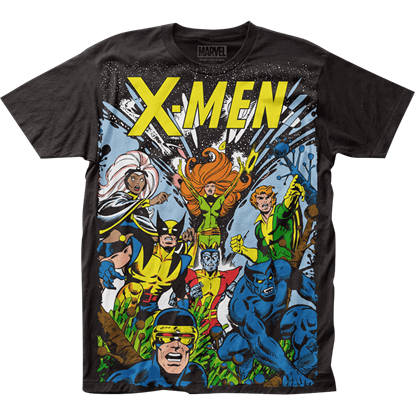 The X-Men Group T-Shirt features a graphic print with some of the most popular mutants, and is a licensed piece of Marvel Comics apparel. If you do not believe that Homo sapiens superiors should be the leading life form on Earth, you may provoke the ire of Magneto. 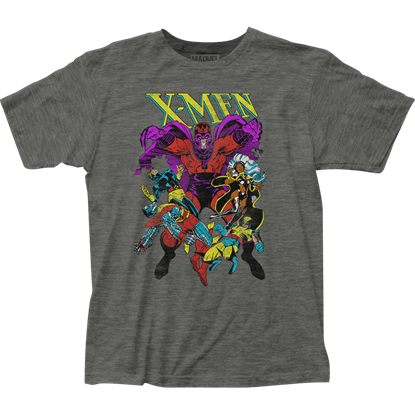 The X-Men Magnetos Wrath T-Shirt displays such a scene, with a colorful printed graphic across the chest. Thank you so much. I've placed several orders from this company and have had nothing but exceptional service as well as products.